I finally got around to watching The Hunger Games, and this particular scene stood out to me. It brought stark clarity to a principal we hear all the time but don’t know why. “Be yourself”, “Stay true to who you are”, “Follow your heart” – this is the kind of fluffy, cliche advice we keep hearing over and over without any real sense of significance or application. But occasionally someone comes along and finds a way to articulate the meaning behind it in a way that actually cuts to the matter of things. It’s like this: Peeta’s not a cold blooded killer. But the Hunger Games are all about kill-or-be-killed. He did not ask to be part of the Games, and he knows that unless he is willing to commit murder he will likely not survive. So what does he do? He makes a choice to remain who he is. Because he understands something a lot of us don’t follow. If he is not a murderer, but if he decides to do that in order to survive, then he is not really surviving. He does not walk out of there alive. The person he is dies as soon as he kills, and the person who walks away is just a stranger wearing his skin. It’s not worth changing who he is as a person just so that his physical body can carry on. Now, for most of us it is not a matter of should we commit murder or not – the choices we face are much more subtle – but it is a question of character regardless. How many times in life do we get offered shortcuts, the easy way, instant success, at the cost of something that’s vital to who we are? We think we have no choice, because it’s the opportunity we’ve been waiting for, or it looks like the only route to success. If it’s what we’ve been waiting for then it seems like it would be out of our character not to do it, but in the process we have to sacrifice some aspect of our personality. If we do then it is not really us who gets that promotion, that opportunity, that area of influence, it is just someone who looks like us. The real us died in order to get there. Don’t lose yourself in order to get what you want. If it is meant to be then it will come in time, but when it happens make sure that it is actually you who gets there – you who holds that position of leadership – you who survives. 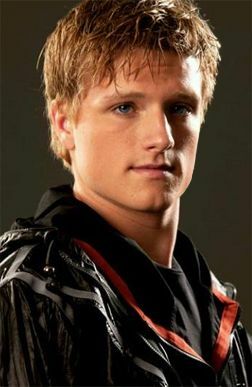 This entry was posted in Pop Culture and tagged Character, Choices, Peeta, The Hunger Games. Bookmark the permalink. Well said! That post really resonated with me Ben. Thanks for sharing that. Clearly explained, Ben. I think this is exactly what I’ve been tempted to do as I look towards my future. Thanks for the feedback. I’m glad the post has meant something.